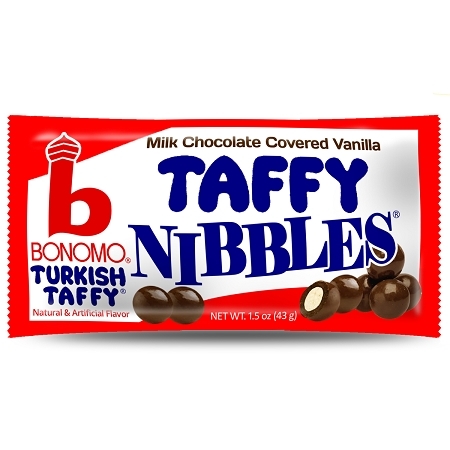 Nibbles are a rich and delicious blend of superb milk chocolate generously layered over a chewy and soft Turkish Taffy center. Available in both Vanilla and Banana flavors. In 1966, the combination of homemade chocolate with a taffy center created a taste sensation that thrilled candy lovers of all ages. In the early 1970's, the equipment and recipe were lost in a great storm. 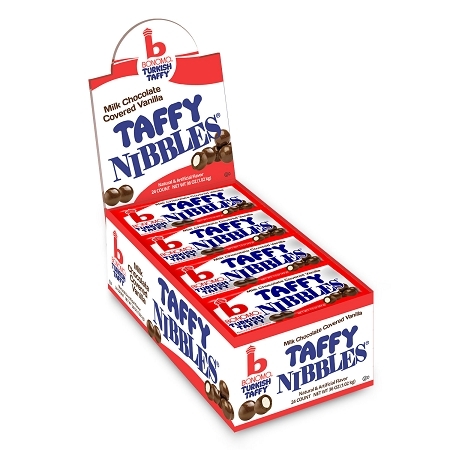 Unearthed by candy historians, Nibbles are back in its original formula. Nibbles are the candy with a secret only a taste will tell.